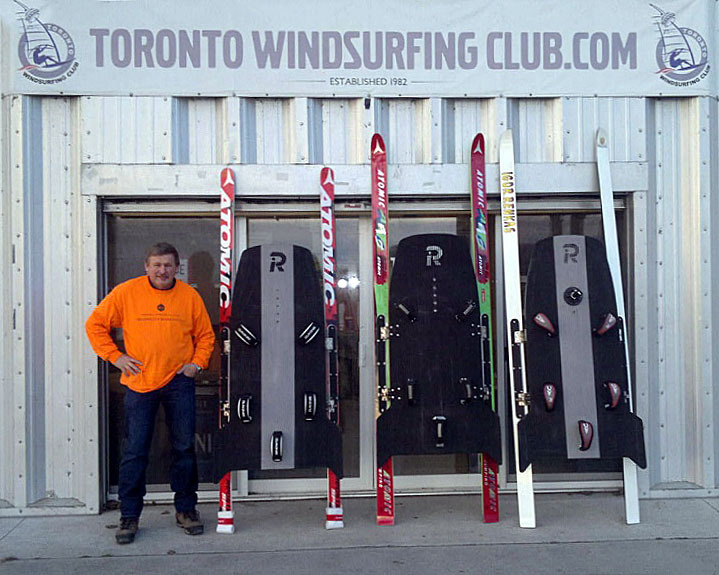 Igor Renkas - the veteran of the sport had just completed his third set of racing ski rig and is now fully ready to compete at 2015 WISSA Championship. 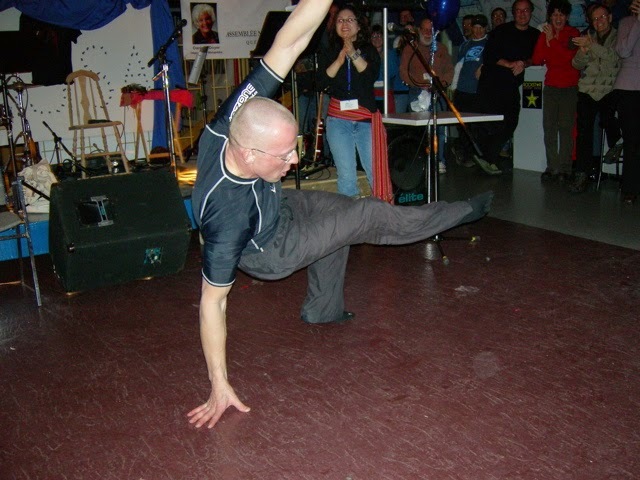 He is based at Toronto Windsurfing Club where he freelances as repair man and coach. Igor is very serious and is training hard to improve his chances of winning. Salute to thee true bearer of WISSA competitive spirit! Have a look at these links. 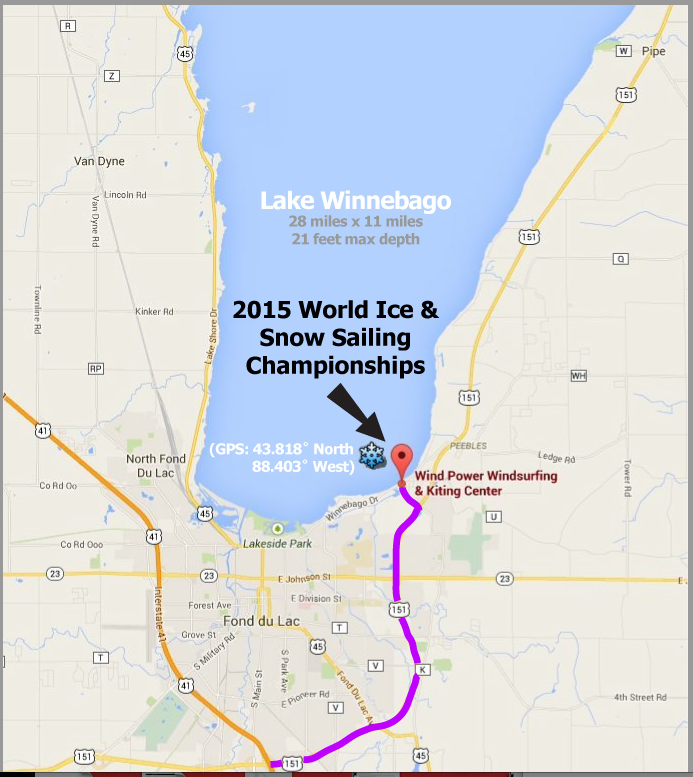 Perfect forecast for ice building and smoothing. Well not really. 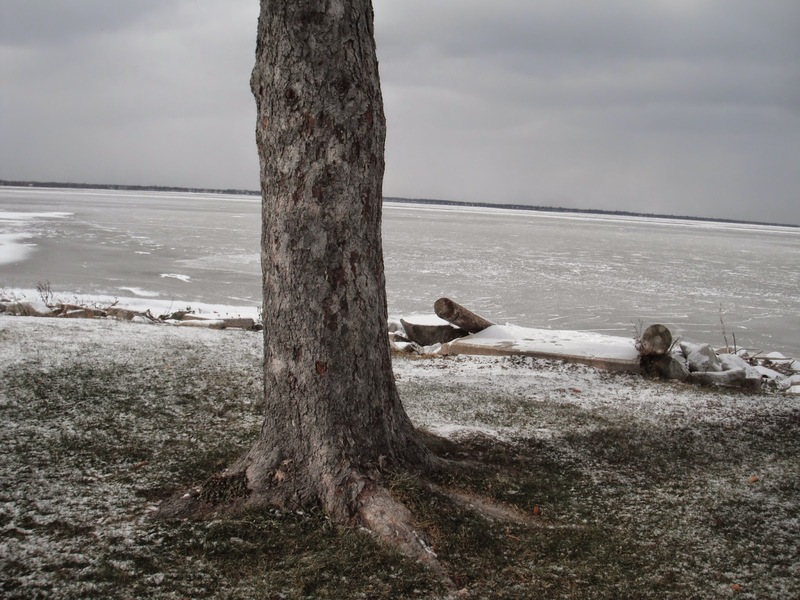 There is always ice somewhere, but this ice is first ice for New England. 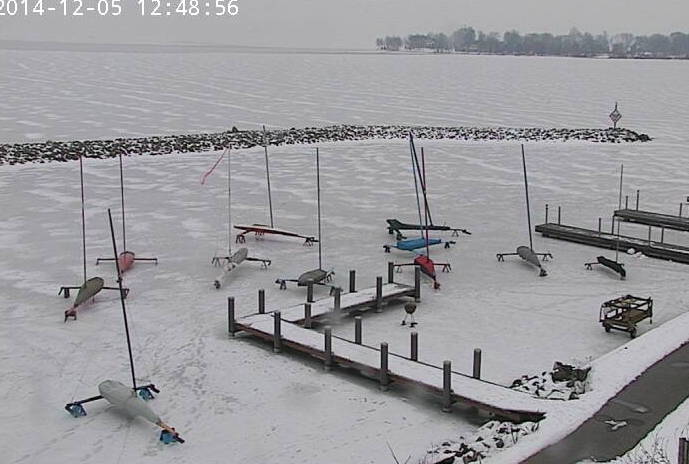 reported smooth ice 10-12 cm thick last week on Lake Winnebago in Winsconsin. The time is fast approaching! If you are traveling from a long distance and do not want to carry your own Hiberna Board, you can still compete on the Short Track Slalom. You can come to WISSA traveling light, and still compete! few readers can identify this! Thank you for the excellent video link. I still have that original video tape from Sami Tuurna. 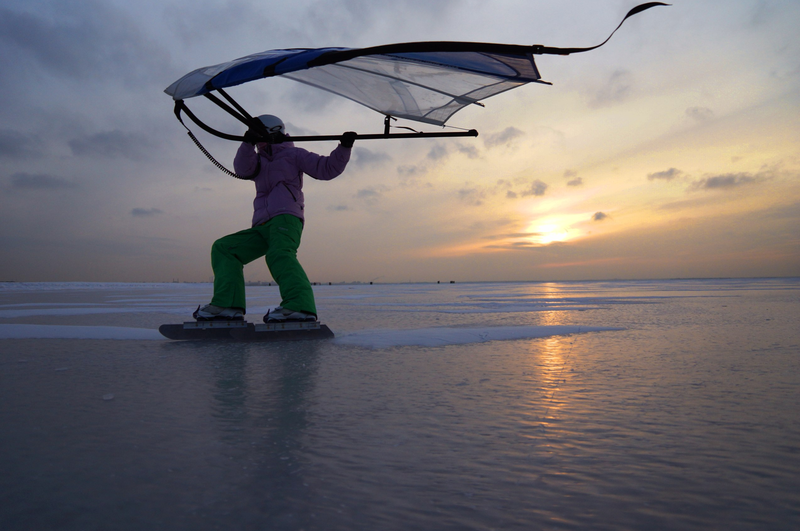 Back in the day, when folks "in the west" were getting started sailing on snow & ice using windsurfing rigs, there was a parallel universe "in the east". Eventually, in 1991, "east met west " at Valgerand, Estonia. 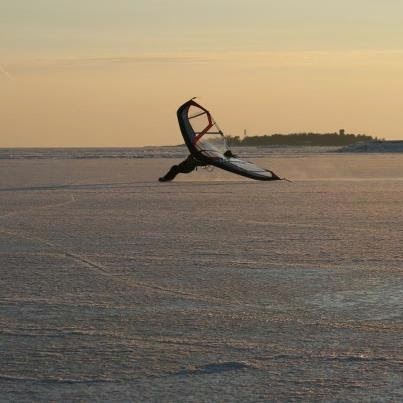 It was a life changing experience for me, and in many ways it was a turning point for the sport of ice and snow sailing. It might be time to start scanning some of the photos and posting them. After all- this IS WISSA history! Be open and welcoming to all competitors and new technologies. Racing takes place on prevailing conditions. 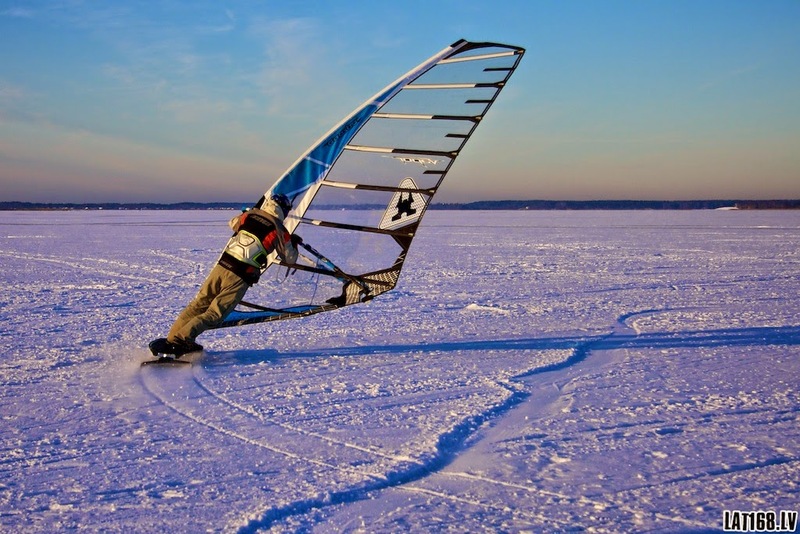 Snow, or ice, skis or blades - it is the competitor's choice. In 1992 the Hand Held Sail Class [later to become wing] was accepted into WISSA. 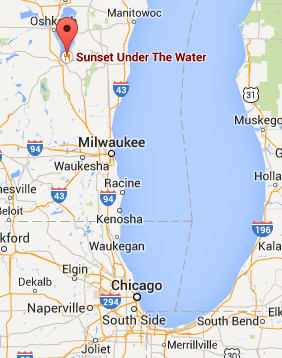 "Eastern" sailors made the improbable trip to Canada. In 1993 in Choinice, Poland, Kites were on the start line for the first time. U.S and Canadian teams came to Poland. In 1995, the USA hosted the WC in Madison, Wisconsin. Russian mono skis dominated course racing in the sled class. Kite and Wing Classes had large numbers. A team from New Zealand took part. 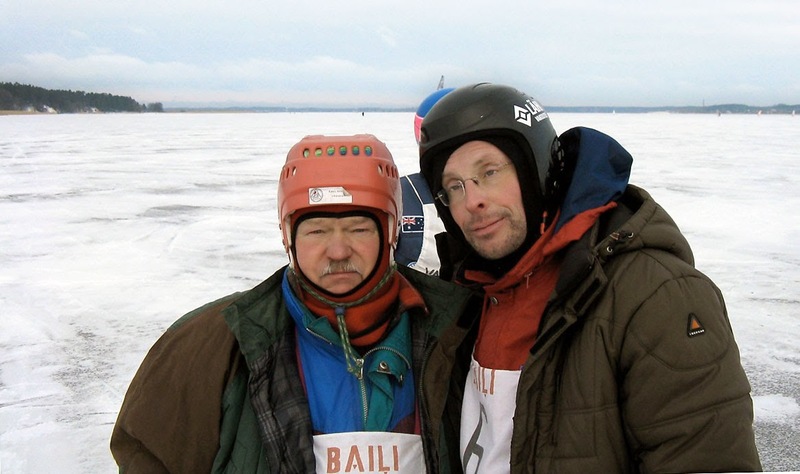 In 2005 WISSA celebrated 25 years of racing at Sakyla, Finland. Russian kite sailors dominated. Polish sled sailors shared the podium with the Finns. 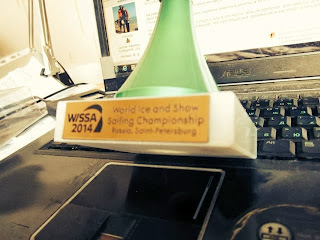 In 2013 at Kalajoki, Finland, - one of the best WISSA races ever - a proposal to host WISSA 2014 in Temmascouatta, Quebec, was accepted. The organizer in Quebec pulled out unexpectedly,leaving WISSA without a venue for 2014. Then came our loyal friends from Russia with an offer to host an event in Pereslavl. They had their own set of troubles, but managed not just to recover, but to create a hugely successful event which was relocated to Saint Petersburg. The success of WISSA, the fact that it (WE!) have outlasted all other international competitions in each of the disciplines stands testament to our commitment, flexibility, and respect for one another. May the WISSA family continue and prosper! Awaiting for WISSA 2015 information. Congratulations to all Champions and the whole WISSA community with successful event that happened despite all odds! Great thanks to organizers, judges and sponsors of the Championship. We are awaiting on the results of the vote for the next venue of WISSA 2015.